Medicare turns 51 this year and County Supervisor Sheila Kuehl will be joined on Sunday by other elected officials and community leaders for a garden party in Santa Monica to celebrate and promote even more progressive healthcare reform. 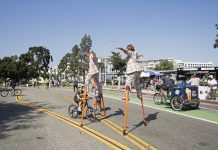 On Saturday, Breeze Bike Share and Santa Monica Spoke are hosting a community ride; Dine LA returns with plenty of tasty Santa Monica-based options; the Twilight Pier Concert series returns with another installment; Downtown Santa Monica, Inc. will have another Picnic on the Promenade; and the Santa Monica Public Library heads back to the beach. Physicians for a National Health Program California (PNHPC) will host a garden party in Santa on Sunday, July 24 in celebration of the 51st anniversary of Medicare from from 2 to 5 p.m.
Kuehl and Dr. David Carlisle, President and CEO of Charles R. Drew University of Medicine and Science in South Los Angeles, will be featured speakers and local political leaders including State Senator Ben Allen and Santa Monica Mayor Tony Vazquez are scheduled to attend. “Medicare, a publicly financed, healthcare system has worked well for our elderly and disabled for over 50 years. It is time to improve and expand it to cover everyone from birth to death,” said PNHP California Executive Director Dr. William Skeen in a press release. To purchase tickets and to find out more information about the event, including the location, visit pnhpcalifornia.org. The host committee for the event includes Santa Monica Next steering committee member Abby Arnold. This Saturday, July 23 is Breeze and Santa Monica Spoke’s monthly community ride from 10 a.m. to 12 p.m. Monthly ride participants get three free hours on a Breeze bike and a chance to learn how to use the system. During the ride, participants also get to learn rules of the road and discover local bike-friendly businesses and attractions. “The ride meets at 1640 5th Street just south of the 4/5th Street Expo Terminus. 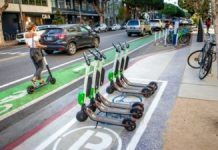 This month we’ll explore the benefits of the new rate structure along with Santa Monica’s growing bike network, connections to transit and MORE!” Spoke wrote in an email. Participants — all of whom must be 16 years or older and anyone under 18 must be accompanied by a parent or guardian — will also get a free helmet, if it’s your first time. Registration is required so if you plan on participating, send an email to [email protected]. 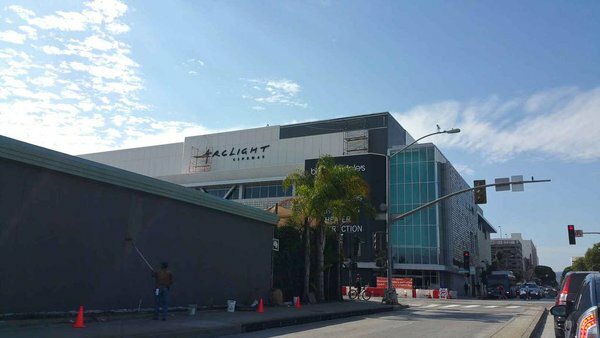 Santa Monica Centric reports that dineLA is back. The two-week affair highlights some of the best places to grab food and there are no shortage of options in Santa Monica. “All across Los Angeles County, foodies are pulling out their stretchy pants and sharpening their smartphone photography skills in anticipation of the return of dineLA‘s bi-annual Restaurant Week. It’s actually two weeks of indulgence as restaurants ranging from the casual to the I-only-go-there-for-anniversaries-or-graduations offer special pre-fixe menus for lunch and dinner that are more affordable than their regular offerings,” according to Santa Monica Centric. To see the list of Santa Monica restaurants, visit santamonicacentric.com. It’s another Thursday in summer, which means another awesome free concert on the Santa Monica Pier. This Thursday, July 21, Psychedelic Furs will be sharing the stage with Day Wave. You can sample each band’s music below. “Parking is available for the Twilight Concert Series for $10 – 20. The rates apply to vehicles entering the below lots after 4 p.m. Any vehicle entering one of these three lots with 4 or more people of any age will receive a voucher that they can turn into the bike valet stand for a $5 rebate,” according to the city. Just make sure there aren’t more people in your car than there are seat belts. 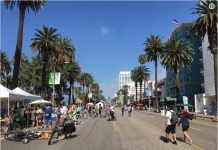 On Friday, July 22, Downtown Santa Monica Inc. is inviting people out of their offices and onto the Promenade for music, games, and a generally fun lunch. “This annual summer series eases locals and Promenade walkers into the weekend every Friday afternoon with music, classic board games, Ping-Pong, interactive challenges, and free services from Downtown merchants. Bring a lunch or grab-and-go from one of Downtown’s award-winning eateries and soak in the sun,” according to Downtown Santa Monica, Inc. The library is heading to the beach again on Saturday, July 23 as part of its annual Santa Monica Public Library (SMPL) at the Beach event series. This Saturday’s event will be at Dorothy Green Park, where Ocean Park Boulevard ends from 10 a.m. to 3 p.m. For more information, visit smpl.org/beach.